A 20th century porcelain snuff box recently came under the hammer at Bonhams in London. The Meissen gold-mounted Royal snuff box set a world record when it was sold for £860,000 ($1,380,000) breaking all pre-sale expectations. The snuff box was made for Augustus II, Elector of Saxony and King of Poland. 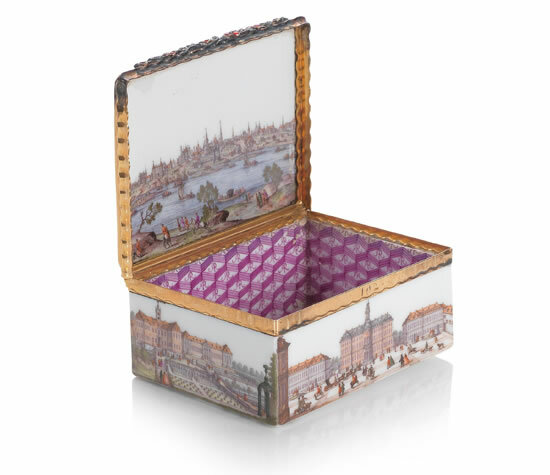 The unique box has intricate Dresden landscape on the inside of the cover and was part of the Helmut Joseph’s collection of porcelain snuff boxes. Among the 80 pieces offered for auction, another Meissen snuff box from Queen Maria Amalia Christina of Naples and Sicily sold for £78,000 ($125,000). A gold mounted circular snuff box from Maria Josepha, Queen of Poland sold for £56,400 ($90,000) and an Ellwangen or Schrezheim gild-metal mounted oval snuff box sold for £52,800 ($85,000). 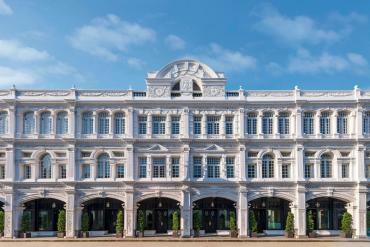 All in all the most important collection of porcelain snuff boxes sold for an unbelievable £1,700,000 ($2,730,000).